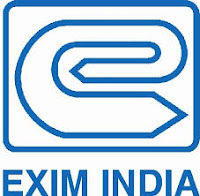 Jobs Details :- Application are invited for the Posts of Administrative Officers in Export-Import Bank of India (Exim Bank). Qualifications : Graduate in any discipline with 55% marks. No. Of Post : 06(UR-4,SC-1,OBC-1) Posts. How to Apply : Send your application in the prescribed format to The General Manager-HRM, Export-Import Bank of India, Centre One Building, Floor 21,World Trade Centre Complex,Cuffe Parade, Mumbai 400005 on or before 12/08/2013.